A pair of polished rectangle cufflinks from Tommy Hilfiger. 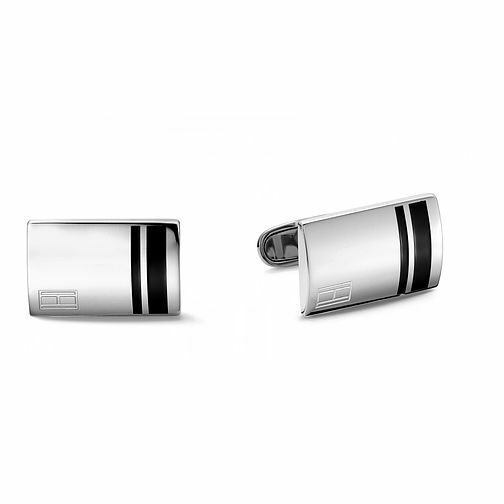 Crafted from stainless steel, with the signature Hilfiger stripes in black enamel. Height 1.3 cm and width 1.95 cm.